A senior commander of Iran’s Army says there are no military threats against the country, despite an escalating war of words between Tehran and Washington, which is waging an economic war against the Islamic Republic. “We tell the people that no danger is threatening our country and we are on the verge of no war,” said Brigadier General Amir Heydari, the commander of the Iranian Army’s ground forces. “… We have reached a level of deterrent power that our enemies are resorting to hatching plots [and not military action],” he said, adding that this is the result of Iran’s resistance and its reliance on domestic tools to boost its power. “But this does not mean we should neglect to maintain our preparedness,” Tasnim News Agency quoted him as saying. 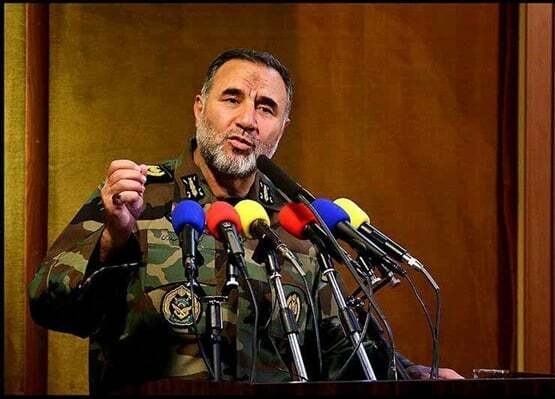 Heydari said 100 percent of the equipment used by the Army’s ground forces is produced inside the country. The US pulled out of the 2015 nuclear deal early May, and has restored some anti-Iran sanctions suspended under the accord. Washington is also pushing the world to hamper trade with Iran and cut down to zero the purchase of Iran’s oil, before it restores the remaining anti-Iran sanctions that are to come back by November.